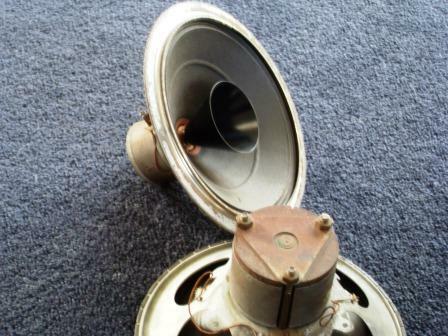 Large Alnico magnets Bakerlite diffuser cone. Suspension is the small fiber unit at the bottom of this cone. These very rare and unusual units sound superb.